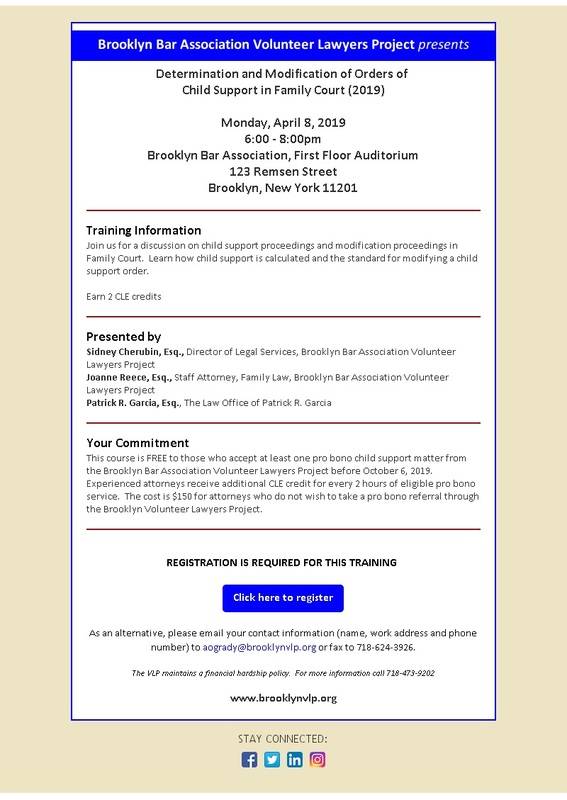 This course is FREE to those who accept at least one pro bono referral from the Brooklyn Volunteer Lawyers Project and volunteer at two sessions of the Supreme Court Uncontested Divorce Volunteer Lawyers Program before September 8, 2010. Experienced attorneys receive additional MCLE credit for every 6 hours of eligible pro bono service. Wednesday, March 3, 2010 — 6:00 – 8:30 P.M. 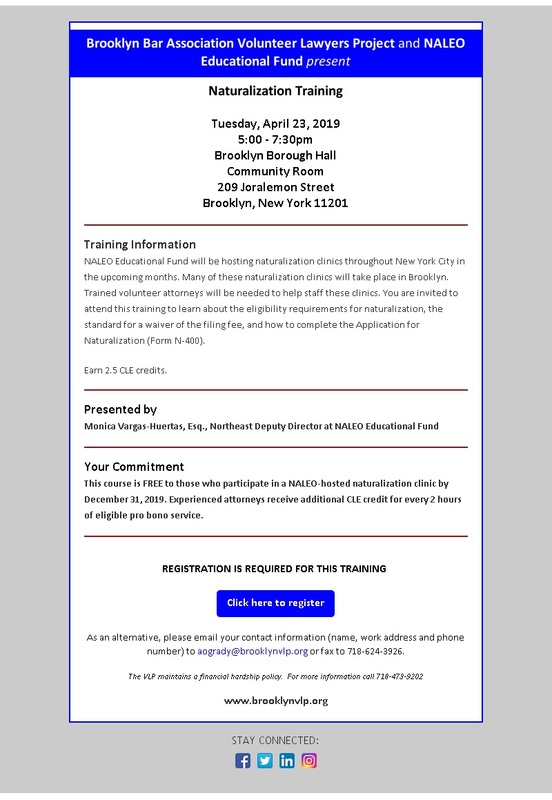 This program is a follow up to South Brooklyn Legal Services’ introductory training regarding the Home Affordable Modification Program and foreclosure settlement conference advocacy. The first training of the series provided an overview of the HAMP program and settlement conference process and basic advocacy tools to successfully resolve foreclosure cases on behalf of homeowners. The second part of this series will involve more intensive training regarding HAMP denials, investor issues, income verification, and converting a trial period into a permanent modification and obtaining non-HAMP loan modifications for homeowners. The program also will include training on the new settlement conference law and rules, revised HAMP guidelines, and Q&A. This course is intended solely for attorneys currently working on a Foreclosure matter through the VLP Foreclosure Intervention Project; OR those who are prepared to accept a pro bono referral for a Foreclosure or other matter from the VLP before June 3, 2010. There is no charge for the training. Experienced attorneys receive additional MCLE credit for every 6 hours of eligible pro bono service. 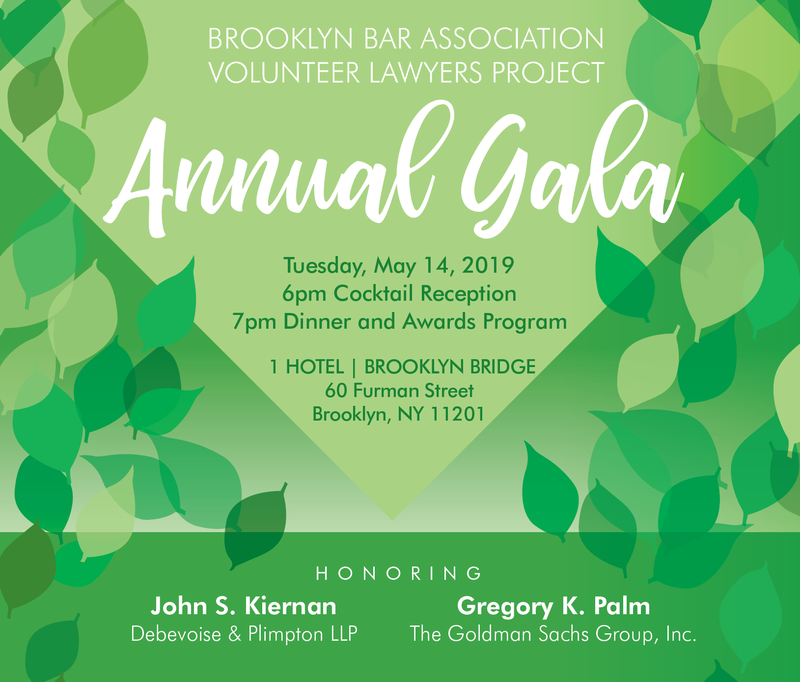 The Volunteer Lawyers Project is pleased to be partnering with Brooklyn Defender Services, the Brooklyn Bar Association and the Brooklyn Women’s Bar to provide emergency legal assistance to Haitian immigrants who may be eligible for Temporary Protected Status (TPS). Thousands of Haitian immigrants currently live in Brooklyn. In the wake of last month’s devastating earthquake, Haitian immigrants living in the US on the date of the earthquake were granted the right to apply for TPS. Volunteer lawyers are needed to staff temporary legal clinics at which they will give advice about TPS and assist in filling out applications. For more information, please see the registration flyer. The training is FREE to volunteers. Attendees will receive 2 CLE credits (Professional Practice) appropriate for both newly admitted and experienced attorneys.